The National Museum has waived admission to its history of commerce and banking exhibition in a move to draw more visitors before it closes on November 30. In a press release dated Monday November 19, executive director of the St. Christopher National Trust, Ryllis Percival said, as the exhibition begins to wind down, the National Trust feels that it is important to give everyone an opportunity to step into the past and experience the period which saw “a marked shift in the island’s economy”. One of the highlights of the exhibition is the large and varied collection of coins that were used in the Caribbean over a three hundred-year period. 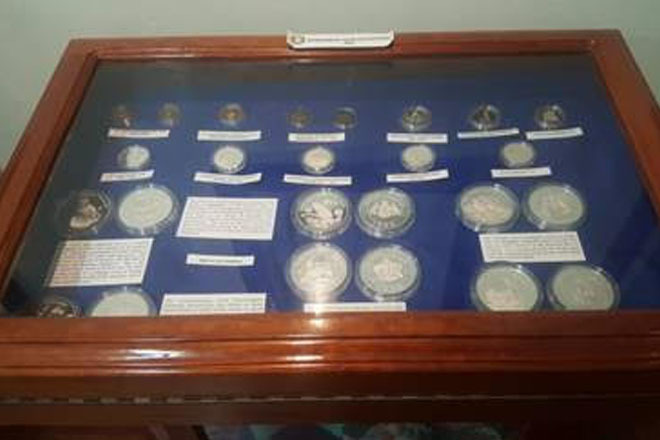 The St. Christopher National Trust Collection includes some of the different coins that were used in the region, as well as other unique buttons, weights, and other coinage related items in this period. Hosted in collaboration with the Eastern Caribbean Central Bank, the history of commerce and banking exhibition also features collections of historic EC currency and commemorative series,’ on loan from the central bank. The National Museum is open Monday – Friday from 8 am – 4 pm and Saturdays from 9 am – 1 pm.